Unexpectedly precious breakfast with my acquaintance. I visited Kato after a long long absence. 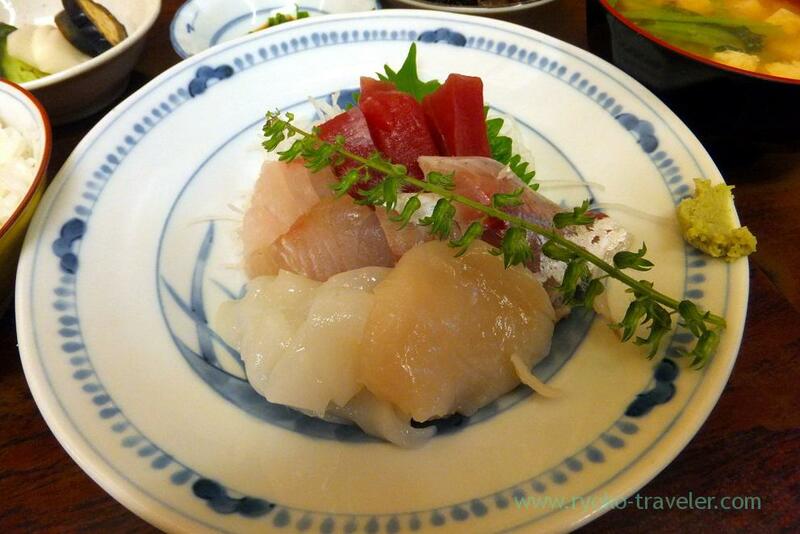 Kato served standard fish dishes like sashimi, sashimi bowl, boiled fishes, grilled fishes and so forth. 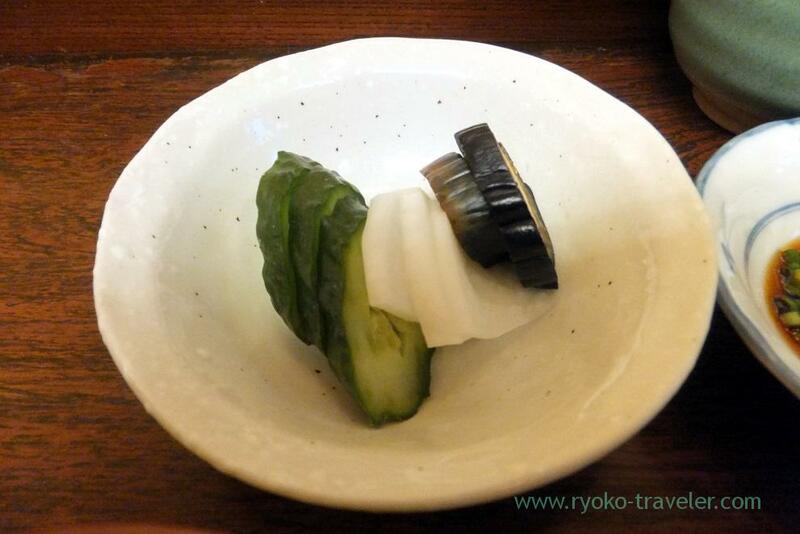 Their grilled fish marinated in Saikyo miso is very popular among them. I also like it. But I felt like eating sashimi that time because it was so muggy morning. 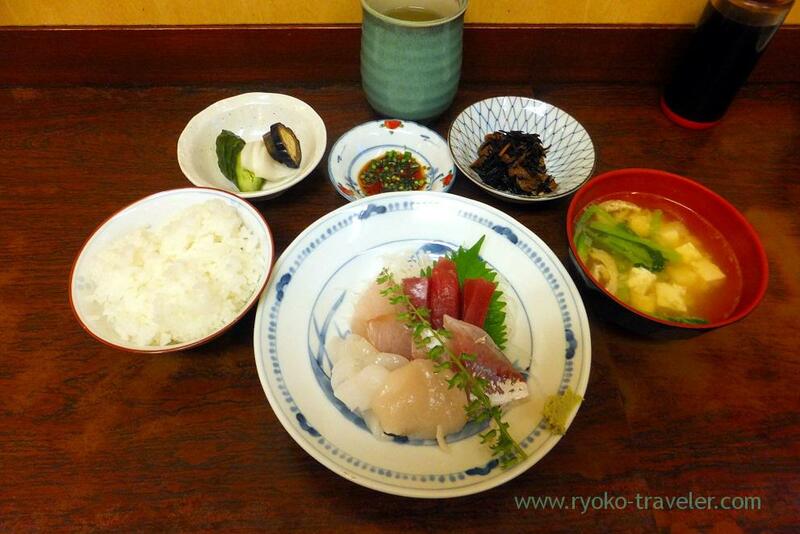 So, I ordered assorted sashimi set (刺身盛り合わせ定食, 1500 yen). This set have 5 species of seasonal seafood sashimi. 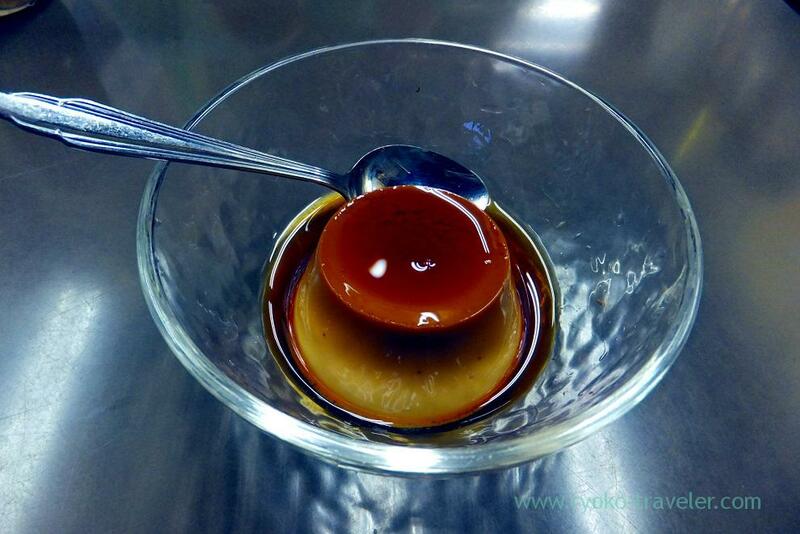 Tuna, squid, scallop, vinegared horse mackerel and.. I forgot another one. 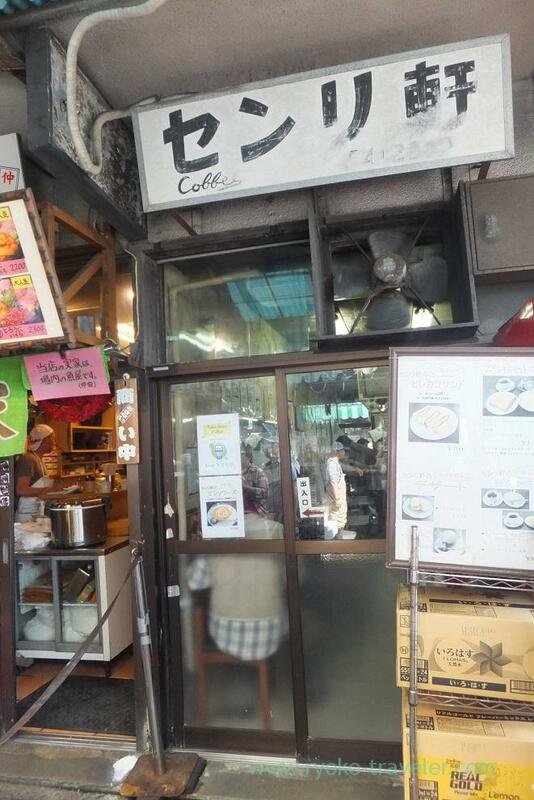 This was the first time to enter this cafe. 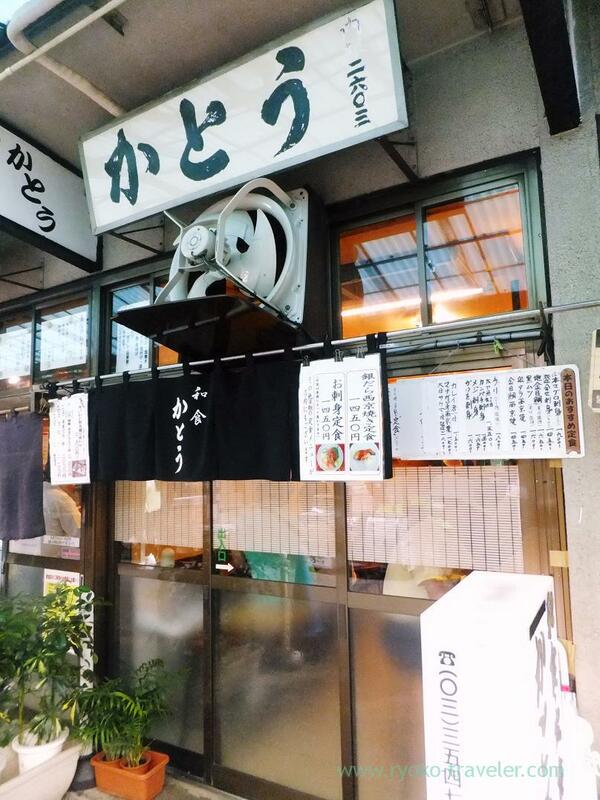 This cafe is sandwiched by two sashimi bowl shops. Unexpectedly Senri-ken is larger and there are some tables and counter seats. 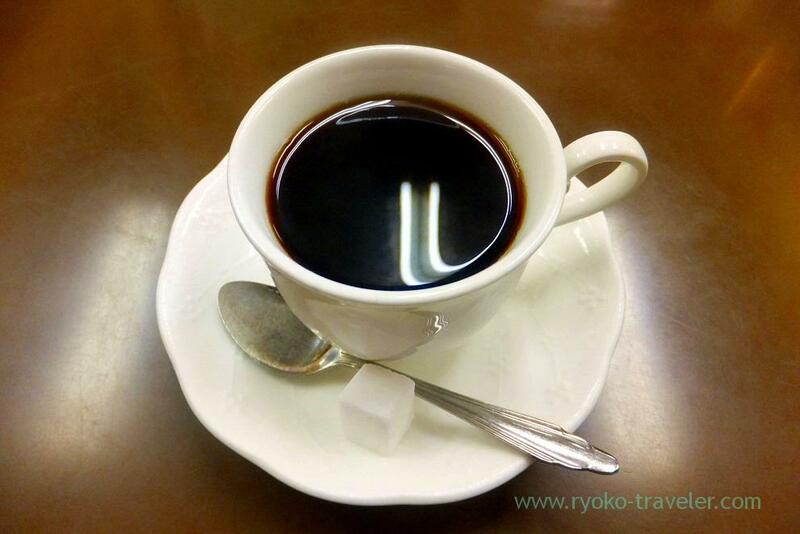 We had Hot coffee (コーヒー, 380 yen). It was served quickly. And it was tasty. And she ordered pudding (プリン, 220 yen). That’s her recommendation and she spared me it. It was sweet and had much tastes of egg. It was awesome ! Senri-ken will be my regular cafe after having breakfast at Tsukiji.